Some men join dating sites when looking for a wife. Some other men join terror groups. In many North African, Middle Eastern and Asian countries, bride price – a kind of reverse dowry in which men must pay to acquire a bride from her family, is skyrocketing. And that may be motivating some men to join terrorist organizations in exchange for the high fees that will make marriage possible. This was the finding of groundbreaking research published this month in MIT's International Security journal by Valerie Hudson, George H.W. Bush Chair in the Bush School of Government and Public Service at Texas A&M University, and Yale University political science doctoral candidate Hilary Matfess. According to a statement from Texas A&M, "the inability to 'afford' a wife in a society where marriage is the maker of full adult manhood can be a significant factor in the decision to join in rebellion or terrorism." Hudson and Matfess break a lot of new ground. But because little other research is being done, it is unclear how often bride price is a factor for young men lured into jihad. Consequently, effective counter strategies are also unclear. Bride price, also known as "bridewealth," is a form of reimbursement to the bride's family for the cost of raising her. And such prices are rising exorbitantly, Hudson wrote in a New York Times op-ed last December. Where a bride in the South Sudan cost 12 cows 10 years ago, "the going rate in recent years has been over 50 cows, 50 goats, and $12,000." Hudson and Matfess estimate that more than 75 percent of the world's population lives in areas where bride price is practiced, including Thailand, China, Afghanistan, and the sub-Sahara – not all of them Islamic countries. And as the price of brides increases, men in those societies are placed under growing pressure. Though it is only by taking a wife that they gain respect as "real men" in the community, most cannot afford the price of marriage. Consequently, for many of them, joining terror and rebel groups can be less a matter of religious or political belief than it is about the money they can earn, or promises of a bride-to-be given as a reward for service. In one case cited by the study's authors, for instance, the sole surviving terrorist of the 2008 Mumbai attacks told his interviewers it was not jihadism that led him to join Lashkar e-Taiba. Rather, he said, "My father wanted me to join so my brothers could get married." He was hardly alone. "Virtually all societies that produce terrorists are societies that pay bride price," according to Hudson – including immigrant communities. We should be. As the study's authors note, "In the 1970s, Black September – a terrorist offshoot of the Palestine Liberation Organization, offered its members brides, cash, apartments in Beirut, and even a baby bonus of $5000 if they had a baby within a year of marriage." These days, Hamas suicide bombers know that "when a terrorist blows himself up, the financial payoff can buy enough brides for his brothers to make his sacrifice worthwhile." 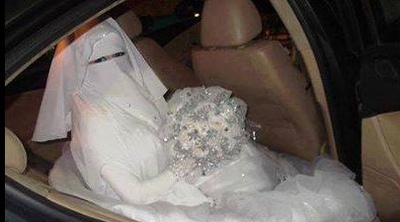 ISIS employs slightly different strategies: recruiters often promise brides to foreign fighters who join the group, along with honeymoon bonuses. Citing earlier research by Ariel Ahram, Hudson and Matfess note that foreign fighters have on occasion paid $10,000 dowries to brides' families, "suggesting that the group was attracting foreign fighters by promising resources (and available women) to marry." And, observe Hudson and Matfess, "Those familiar with Boko Haram's practices state that women are given to fighters to reward them for their service and to cultivate loyalty.... The women are often groomed before becoming wives, a process that can involve days of 'Quranic education,' in which they are subjected to lectures on Boko Haram's ideology." That learning, of course, is then transmitted to their sons and daughters, who are therefore raised with terrorist ideology as the norm. Yet the cultures in which bride price exists have largely resisted change. Reporters for Rwanda's New Times interviewed men and women from three generations about the practice. All agreed that it was a valuable addition to their culture, even as some admitted that it can lead to domestic abuse, particularly among men who view their wives as property they have paid for and therefore own. Some even describe bride price as a gift of gratitude, a "token of appreciation to the bride's parents," as one man expressed it. "A girl whose bride price has been paid commands respect in society, and her parents revel in pride because of it," Margaret Mukarugamba, an elderly woman in Eastern Province, told New Times. "With the payment of bride price, the man shows that he is really into having the girl as his wife." And former beauty queen Fiona Ntaringwa went so far as to call it "necessary." "It shows the value a man is giving to a woman and his appreciation to her parents for grooming her," she said. "In my opinion, it's one way of being grateful." Now many governments are beginning to intervene, Hudson and Matfess report, though not always for reasons relating to violence. Governments in rural Afghanistan have worked to reduce bride price by as much as 40 percent. In Saudi Arabia, dowries (which operate essentially as bride price does) have been capped at 50,000 riyals – or just over $13,000. Dowries had risen to as high as $1 million, creating concern about a spinster glut. On the other hand, those cultures where bride price continues also continue to experience violence against, and oppression of women – tendencies that, in turn, tend to advance militarism and violence. As Valerie Hudson has written elsewhere, "the larger the gender gap between the treatment of men and women in a society, the more likely a country is to be involved in intra- and interstate conflict, to be the first to resort to force in such conflicts, and to resort to higher levels of violence." The correlation between cultural trends of bride price and the rise of terrorist groups makes this particularly clear. In the battle against Islamist terror, pressuring more governments to end the practice – along with honor killings, child marriage, and other misogynistic customs – may be crucial to our victory.